Featuring contemporary versions of four of Shakespeare's most popular plays. Six hours of content on 2 discs! The Taming of the Shrew retelling is one of my favorite movies--the kind that you watch over and over and often want to quote from, except no one will know what you're talking about. Unlike the other movies in the series, The Taming of the Shrew isn't just a setting of the play in a modern setting; it's a transformation of the story. It sticks closely to the plot of Shakespeare's play but tells quite a different story. I've never been able to buy that the original Taming of the Shrew is a love story in any way; this one actually is. And all the relationships are warmer and more complex--not only between Katherine and Petruchio, but also between Katherine and her family. This movie also turned me into a huge Rufus Sewell fan. His Petruchio is strange and loud and inappropriate but essentially loving and good. The interactions between him and Shirley Henderson's very shrewish Katherine are delightful. Much Ado About Nothing is enjoyable, but it didn't quite work. The main Benedick/Beatrice storyline was cute, but Benedick was too slimy and Beatrice was so much smarter than him that it was almost painful. Macbeth is very good, but very dark. I never managed to watch A Midsummer Night's Dream all the way through. I skimmed through--it seemed like it had too much Puck, and Puck was annoying. It's on the same disc as Taming of the Shrew, and given the choice, I'd rather just watch Shrew again. I love this series. I'm also a Shakespeare geek. I watched it back in 2008 when Netflix had it on DVD! but just recently found it digitally on Amazon. Sad that it wasn't in the Amazon digital version. 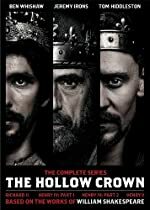 That aside, it's a beautifully written series, that brings Shakespeare to today. If you are a Bard fan or not, you'll still enjoy the stories. That which we call a plot, in any other form, feels the same. This DVD collection features four movies. Each Movie is a modern day re-imagining of one of Shakespeare's plays. I say re-imagining and not retelling because some of them fall far from the original in my opinion. All four make good stand alone movies and no knowledge of the original material is necessary to understand them. The plays are: Midsummer night's dream, Taming of the Shrew, Macbeth, and Much ado about nothing. I felt that Much ado, and Macbeth came closes to the source material while Midsummer and Taming were not hurt for the changes. 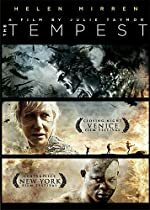 If you like Shakespeare then these movies are a must.